The text below is a second installment from my essay, "Transnational Republics of Commoning: Reinventing Governance through Emergent Networking," published by Friends of the Earth UK. The third and final part of the essay will appear next. To return to our original question: How can we develop new ways to preserve and extend the democratic capacities of ordinary people and rein in unaccountable market/state power? There is enormous practical potential in developing a Commons Sector as a quasi-independent source of production and governance. Simply by withdrawing from the dominant market system and establishing stable, productive alternatives – in the style of Linux, local food systems and the blogosphere – the regnant system can be jolted. While many digital commons may initially seem marginal, they can often “out-cooperate” conventional capital and markets with their innovative approaches, trustworthiness and moral authority. The output of digital commons is mostly for use value, not exchange value. It is considered inalienable and inappropriable, and must be shared and copied in common, not reflexively privatized and sold. By enacting a very different, post-capitalist logic and ethos, many “digital republics” are decisively breaking with the logic of the dominant market system; they are not simply replicating it in new forms (as, for example, the “sharing economy” often is). Let us conspicuously note that not all open source systems are transformative. We see how existing capitalist enterprises have successfully embraced and partially coopted the transformative potential of open source software. That said, there are new governance innovations that hold lessons for moving beyond strict market and state control. For example, the foundations associated with various open source software development communities, and the wide variety of “Government 2.0” models that are using networked participation to improve government decision-making and services (e.g., the Intellipedia wiki used by US intelligence agencies; Peer to Patent crowdsourcing of “prior art” for patent applications). Any serious transformational change must therefore empower ordinary people and help build new sorts of collaborative structures. Ultimately, this means we must recognize the practical limits of external coercion and try to develop new systems that can enable greater democratic participation, personal agency, and open spaces for local self-determination and bottom-up innovation. The examples described below are embryonic precursors of a different, better future. Activists, techies and entrepreneurs are devising some fascinating new structures for group deliberation, self-provisioning, governance and finance. Most of these are far from the mainstream, but typically the future is incubated on the periphery. That is where Enspiral originated, a New Zealand-based (and now international) network of 300 people that describes itself as “a non-hierarchical distributed network of entrepreneurs, professionals and hackers who are using the tools of business and technology to make positive social change.” Enspiral consists of many different small enterprises, social ventures and collaborative software tools. One of its most significant projects is Loomio, an activist-driven tech cooperative that has developed an open source app for collaborative decision-making. The idea for Loomio arose in 2011 when the Occupy movement in Wellington, New Zealand wanted to find a more scalable way to make inclusive group decisions. “We wanted to create a world where anyone, anywhere, can participate in decisions that affect them, and weave diverse perspectives into one, via collective wisdom,” said Benjamin Knight, cofounder of Loomio. The app provides “an online space for purpose-driven people to talk, build shared understanding and build creative courses of real-world action,” he said. More than 80,000 people in 93 countries are now using this open-source software tool. It is being used by city councils and grocery cooperatives in India, and by Podemos in Spain and the Pirate Party in Greece. Hungarian student activists used the app to organize successfully against government funding cuts in education. The Sunflower movement in Taiwan used it to organize against secrecy in trade negotiations with the Chinese; the Taiwanese government later adopted Loomio to host collaborative decision-making with citizens.Instead of making decisions through unstructured meetings in which the loudest voices, demographically large groups or people with lots of discretionary time can dominate the process – effectively excluding most others – Loomio provides a network-friendly system that blends the advantages of both top-down and bottom-up decision-making. The Enspiral network – legally a limited liability corporation but functionally and culturally a coop – has spawned another fascinating app, Co-budget. This app allows Enspiral members to use a transparent democratic process to allocate money in the group account in proportion to how much each person has contributed to it. People can solicit support from group members asking them to fund specific “buckets” of expenditures – a software project, a convening, specific business expenditures, or anything else. The system also allows the transfer of money among its members, in effect functioning as a virtual banking system and a walled garden of autonomy, transparency and flexibility. It’s noteworthy that this system is not just about money; it’s about building social trust within the community. One counterintuitive result of the co-budgeting process, said Alanna Krause of Enspiral, “is that it stops people from volunteering too much and burning out. A budget gives you social validation and a way to match people’s interests and output to what the system can fairly support.” Many Enspiral members see their platforms as powerful engines for building an alternative economy and society. Krause envisions Enspiral platforms evolving to handle peer-to-peer credit lines, crowdlending, basic income, and alternatives to taxes and interest. Enspiral is but one example of an innovative organizational form, the “open value network,” or OVN, that is emerging. OVNs consist of digital platforms that facilitate new modes of open, decentralized and self-organized social governance, production and livelihoods. OVNs are organized in ways that let anyone to contribute to the project, and be rewarded based on their contributions, as measured by actual contributions, experience and other collectively determined criteria. OVNs have been described as an “operating system for a new kind of organization” and a “pilot project for the new economy.” Other fledgling OVN projects include Sensorica, the iAGRI innovation portfolio, Greener Acres, metamaps and Guerrilla Translation. Most commons tightly limit or prohibit the sale of their resources to markets except on stipulated terms, lest market ambitions begin to unravel collective commitments. Open value networks have no reservations about engaging with markets, but they do take active steps to maintain their organizational and cultural integrity as commons-based peer producers. This means that OVNs insist upon open, horizontal and large-scale cooperation and coordination so that everyone knows what is going on. Using systems like Co-budget, OVNs seek to democratically manage shared wealth and assets while allowing individual access, use, authorship and ownership of resources, consistent with group needs. OVNs use a careful accounting of individual “inputs and outcomes” via a common ledger system, and distribute rewards to participants based on their individual contributions to the project. OVN stress that while they may be legally nonprofits or for-profits, they are not functionally either, in that they have no retained earnings or fixed assets. They instead function as “a flow-through entity which is as formless as possible,” but which functions as a trust for its members, as outlined by a “nondominium” agreement. While still fairly rudimentary, OVNs represent a fascinating new type of consensual governance/production regime, bound by contractual terms, that blends commons principles and market activity. It is not widely appreciated how tech platforms can alter ecological stewardship and production practices in positive ways. To be sure ICTs (information and communications technologies) have many negative ecological impacts, at least as deployed by capitalist enterprises today – lots of electricity, rare earths, transport costs, pollution and planned obsolescence. But it is also true that these systems, when used in commons-based forms, could help usher in new, more ecologically benign forms of decentralized production and consumption. They can reorient people toward more cooperative, post-capitalist modes of life and culture while still hosting needed types of technological innovation. Cox explains how the open, social collaboration of the Farm Hack community “creates the potential for every farm to become a research farm, and every neighbor to be a manufacturer, drawing upon a global library of skills and designs.” The preindustrial and modern are conjoined through a marriage of agrarianism and maker/hacker ideals. Another potent eco-digital commons is the international network of farmers who practice a kind of open-source agronomy for rice cultivation. The System for Rice Intensification, or SRI, is a vast network of thousands of farmers in Cuba, Sri Lanka, Indonesia and dozens of other countries who share their ideas for improving the yield of rice without the use of GMO seeds, pesticides or herbicides. With the help of Cornell University, farmers collaborate through an online platform, www.sririce.org, on which they share lectures, seminars, emails, publications and other materials, on an international scale. It is a bottom-up driven process without the sponsorship of government ministries or corporations. Even though SRI methodologies must be locally adapted, they are easy to understand and implement – and the impacts impressive. Crop yields are 20% to 50% more than conventional rice farming while using less seed, water and fewer chemical inputs. SRI is an example of how open-source collaborations, when applied to agricultural challenges, can yield practical, ecologically benign answers that do not even occur to commercial vendors and state authorities – perhaps because SRI is a commons-based system that is not profit-driven or hierarchically governed. SRI is but one of many examples of agricultural crowdsourcing. Using network platforms to aggregate data and interpret them, farmers in diverse localities around the world can apply their own best judgment in selecting the most adaptive crops as the atmosphere becomes warmer. A similar idea animates the Open Ag Data Alliance, which is trying to help farmers access and control the data about the crop yields, open source style, instead of agribusiness vendors owning and controlling that data through their own proprietary, non-interoperable platforms. A data commons is a highly effective way for farmers to assess and improve their agricultural practices. It helps to put these fledgling models into perspective: An estimated 2 billion people around the world depend upon commons of forests, fisheries, farmland, water, wild game and other natural resources for their everyday subsistence, according to the Alliance for Land. Such types of resource-governance are far more ecologically minded than global corporations whose “rip and run” extractivism is the norm. 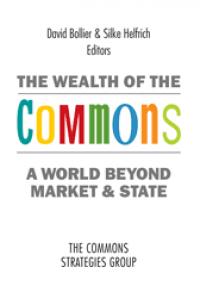 Yet introductory economics textbooks all but ignore these commons because they are for householding or subsistence, not market exchange, and thus are not regarded as interesting enough. If digital networks can empower local natural resource commons, and help them mutually support each other, as SRI and Farm Hack do, it would help elevate this “invisible commons sector” into great prominence. Here, as in other open source communities, there are commercial pressures to capitalize on the fruits of social collaboration without necessarily supporting it. There are libertarian factions in these spaces committed to “simplistic economic individualism and hypercapitalistic politics,” in the words of some critics. Yet as mentioned earlier, there are also less-prominent forces committed to “platform cooperativism” and social justice within these frontier spaces. Part of the struggle going on in the maker movement is to enact this latter vision, so that its innovations and identity are not swallowed up by Google, Facebook, Apple and other tech giants. To date, these commons are showing an enormous capacity to democratize access to the tools for technical invention and build a (nonmarket) system of technical education, distributed research, and apprenticeship for the next generation. This movement breathes the same air as “citizen-science,” a grassroots movement to crowdsource information for various scientific research projects. The efforts take many forms: counting birds and butterflies to assess migration patterns and biodiversity; classifying the size of craters on Mars for NASA; monitoring celestial phenomena to complement the tracking done by professionals; gathering field data about air and water quality. Open Source Beehives is an international collaboration of ecologists, beekeepers, makers and open source advocates who track the health of bee colonies (threatened by disease and chemicals) and promote their international recovery. Participants build their own 3D printable smart beehives and use Internet-connected sensors to compile data about bees, which project teams in Denver, Barcelona and Brussels use to develop solutions and policy proposals. Conventional wisdom may dismiss these projects as too small and outlandish to be consequential. But as I describe below, the “replicate and federate” approach of so many digitally networked projects could yield a rapidly scalable yet coordinated “social organism” of like-minded, locally adapted, constantly evolving commons. One of the most dramatic shifts in network-based governance is being driven by the “blockchain ledger,” the software innovation that lies at the heart of Bitcoin. Bitcoin itself was designed to serve familiar capitalist functions – tax avoidance, private capital accumulation and speculation. That said, the blockchain ledger is significant because it can be adapted for many other types of collective action on open networks beyond Bitcoin itself. The value of blockchain technology stems from its ability to validate the authenticity of a digital object (a bitcoin, a legal document, digital certificate, dataset, a vote or digital identity asserted by an individual) without the need for a third-party guarantor such as a bank or government body. This solves a particularly difficult collective-action problem in an open network context: How do you know that a given digital object is the “real thing” and not a forgery? By using a searchable online “ledger” that keeps track of all transactions, blockchain technology solves this problem by acting as a kind of permanent record maintained by a vast distributed peer network. Because this data is so large and dispersed among so many nodes in the network, it is far more secure than data kept at a centralized location, making it virtually impossible to counterfeit or corrupt. Because of these capabilities, a recently released report suggests that blockchain technology could provide a critical infrastructure for building what are called “distributed collaborative organizations” (sometimes “distributed autonomous organizations”). These are essentially self-organized online commons. By democratizing the ability of self-organized groups to authenticate digital identity (instead of having to rely on Facebook or Twitter, for example), commoners could use blockchain technology to allocate specified rights to its members, resulting in a new kind of distributed, self-governing organization. These rights, in turn, could be linked to the conventional legal system to make them legally cognizable and enforceable. Here is a rudimentary example of how the blockchain might be used to build efficient, commons-based alternatives to conventional businesses. In the US, former Federal Communications Commission Chairman Reed Hundt has proposed using blockchain technology to create distributed networks of solar power on residential houses, coordinated as commons. The blockchain would keep track of how much energy a given homeowner generates and shares with others, and how much is consumed. In effect the system would enable the efficient organization of decentralized solar grids via a “green currency” that could serve as a medium of exchange within solar microgrids or networks, which in turn could help propel adoption of solar panels. The blockchain amounts to a network-based architecture for enabling commons-based governance. It could provide a rudimentary (or eventually sophisticated) framework for versatile forms of social exchange and collective governance. It would do this by serving as an accounting infrastructure for value-sharing among participants in a digital commons. One potential application, for example, is smart contracts. These are dynamic software modules operating in an architecture of shared protocols, much like TCP/IP for the Internet or http for the World Wide Web. The protocols would be designed to let people assign standardized legal instructions to “smart” software agents on open networks. Smart contracts would avoid the lengthy written documents that lawyers must write and review, and the “click-through” licenses used on websites and end-user licensing agreements for software. They would also avoid outside enforcement bodies such as courts. Instead, smart contracts would use modules of code to enter into and consummate “transactions” online, as authorized by individual users. The smart contracts could be used to structure any number of relationships in online milieus – new types of markets, for example, but also social commons in which “social currencies” that kept track of people’s contributions to the collective, their cumulative reputation or free-riding. While self-enforcing smart contracts could obviously facilitate market exchange, they could also facilitate nonmarket social exchange and group solidarity (by enframing gift exchange circuits, one-way philanthropy, indirect reciprocity, etc.). While smart contracts are not yet operational, there are many serious projects and corporations attempting to use cryptocurrency principles to build an operational legal system based on self-executing code alone. One leading innovator is Ethereum, a project that is developing a blockchain “virtual machine” that can securely record and validate transactions. The many innovations outlined above do not do away with the need for in-person contact and debate. They do not eliminate conflicts or politics. It is still important for deracinated moderns to connect to wisdom traditions and to the Earth. That said, new tech platforms are invaluable because they can open up new vistas for change. The polities of modern industrial societies (and even marginalized, rural countries) are locked in to a strict neoliberal vision of human development and extractive economics. Commons can introduce new modes of stewardship and social practice for managing natural resources, radically shifting ambitions from maximizing consumption and profit toward sustainability and meeting basic needs. Commons tap into vernacular knowledge and respond better to local needs and interests. They invite horizontal, inclusive participation. They make deliberations and transactions more transparent and thus more accountable. In such an environment focused on practical outcomes, it is harder to indulge in ideological posturing and political spin. When open source principles prevail, countless inquiring eyes can scrutinize everything – the infrastructure, the transactions, the dialogues, the individuals – which minimizes the opportunities for quiet subterfuges and backroom deals. The processes of governance are more likely to be honest and fair, and be seen as such. So why haven’t open source systems – for software and beyond – supplanted the corporation and other capitalist forms over the past twenty years? One reason (beyond the libertarian outlook of many techies) is that free and open source software projects remain embedded in the traditional capitalist economy, which makes it hard for them to raise capital for collective nonprofit purposes, support livelihoods directly, and develop an alternative socio-economic vision. In the first burst of open source projects in the 1990s and early 200s, Silicon Valley capitalists managed to embrace, contain and profit from them. Today many hackers recognize the pathologies of the larger political economy, and are actively trying to neutralize them while building more independent new systems. A first priority for the commons-minded hacker is to develop ingenious systems that can capture the value that a digital commons generates, so that it can be retained and recirculated by the community itself. Recent innovations in alternative currencies, such as the blockchain ledger, may help affinity groups do just that, providing an avenue for “commons value exchanges” that could partially emancipate participants from the conventional market economy and give them greater control over the code, information, creative works, goods and services they create. Michel Bauwens of the P2P Foundation, and others, are trying to develop “commons-based reciprocity licenses,” generically known as CCRLs or CopyFair, to strike a middle ground between the full-sharing copyleft licenses (such as the GPL and Creative Commons NonCommercial license) and conventional copyright law, which make creative works strictly private. The idea is to introduce licenses requiring a basic reciprocity among users in a commercial context, so that the community that generates value can share in the gains. IBM, for example, would have to pay a licensing fee to use any code licensed under a CCRL. Without such a provision, companies often use open licenses to appropriate a community’s code or creative works for free – while members of those communities struggle to earn a livelihood. Until ideas such as CCRL mature, open source communities will remain creatures of both the market and commons – but ultimately subordinate to the capitalist economy. Financial innovation to benefit the commons is therefore an urgent priority for moving open source governance to the next level. There are actually many initiatives afoot to develop this idea, as described in a recent report, “Democratic Money and Capital for the Commons,” produced by the Commons Strategies Group. The report makes clear that credit and risk can be reconceptualized to serve the commons; it has been done before in various limited ways through public banks, social and ethical lending, and community development finance institutions. But there are also a number of innovative new models such as DIY credit systems, alternative currencies, tech-enabled mutual credit societies, and cooperative organizational models like Enspiral and OVNs. One might say that a post-capitalist vision for finance and money is fitfully emerging. The ultimate goal of commons-based, mutualized finance is to develop provisioning systems that can blend the advantages of bottom-up innovation (inclusiveness, diversity, legitimacy) with the best of top-down decision-making (speed, decisiveness, scale). Commons that can achieve this sort of balance can avoid the disempowerment and exclusion often associated with top-down governance, while also avoiding the muddled responsibility and indecisiveness of unstructured decision-making. 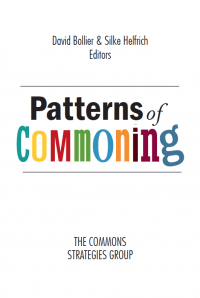 As a nascent archetype of governance, online commons are attractive because they can host a flexible, ongoing process of iteration, self-improvement, and viral expansion. The imagination and goodwill of large numbers of people can be mobilized, without the cumbersome processes and legal formalities of conventional government. Finally, at a time when conventional political channels are dysfunctional because of ideological gridlock or single-party or dictatorial capture, digital commons provide rare, necessary open spaces for experimentation and innovation. New models can arise outside of the pathological force-fields of conventional politics, at least initially. Of course, any of the scenarios sketched above require an open, nondiscriminatory Internet, or “net neutrality,” which in turn requires state action and laws. This is precisely what many authoritarian nation-states such as China, Saudi Arabia and others reject, and even many democracies such as the US, France and the UK insist upon extensive surveillance of the digital lives of their citizens. There is thus an unresolved tension between the state and open networks that may or may not stifle new possibilities for open source governance. But Can Network Governance Scale? Another key question is: Can network governance scale? Given the urgency of finding quick-action solutions to climate change (among many other environmental crises), everyone tends to focus on global-scale, top-down solutions. The presumption is that only such an approach can achieve the scale, speed and efficacy needed. But the word “scale” is a term of hierarchical organization. If the networked environment provides any lessons, it is that top-down governance tends to over-administer and over-control processes, and in so doing, ignores important local factors and knowledge. It also gives short shrift to the consent of the governed and dismisses the enormous benefits that can be had through the active, bottom-up participation of people. That’s why any lasting, effective solutions to climate change must be built on the small-scale projects that function as living systems, not bureaucratically directed modules. If each project can be self-organizing within a larger framework, it will not only mediate and reconcile the divergent interests of local and global concerns, it will build more seamless, functional systems for “scale linking” coordination. We can take instruction from life itself: The agency of a living organism derives from the coordinated work of many linked subsystems, each having their own capacities and scope of action. There is a certain autonomic capacity within living systems that, without explicit or formal instructions, self-generates and -organizes living systems. Electronic networks function in much the same way, reflexively routing around barriers and dynamically self-organizing responses to needs as they arise. Digital commons functioning as networked systems will, in response to recognized needs, self-interconnect and coordinate themselves at all scales. These are properties of living, autocatalytic systems. In trying to re-imagine “global governance,” it is important that we not separate the local and regional from the global and transnational. These realms are not conceptually separate; they are deeply and functionally interconnected. Relying on hierarchical, mechanical systems of law and program administration are likely to fail, or at least not iterate and adapt rapidly enough to succeed. The best way to bring large-scale institutional and policy solutions into alignment with bottom-up energies and local knowledge is to rely on smaller-scale needs and interests to propel the developmental emergence of higher forms of organization and governance. Replicating small projects and then federating them via networks is more likely to expand them rapidly than centralized, hierarchical attempts to “scale” them. When separate, local efforts connect with each other as networks, then strengthen as communities of practice, suddenly and surprisingly a new system emerges at a greater level of scale. This system of influence possesses qualities and capacities that were unknown in the individuals. It isn’t that they were hidden; they simply don’t exist until the system emerges. They are properties of the system, not the individual, but once there, individuals possess them. And the system that emerges always possesses greater power and influence than is possible through planned, incremental change. Emergence is how life creates radical change and takes things to scale. There is a rich literature in complexity theory and evolutionary science that has emerged over the past generation that validates the dynamics of bottom-up forms of social organization and governance. Extensive empirical research confirms that some of the most stable, resilient forms of governance are distributed, self-organized and collaborative. 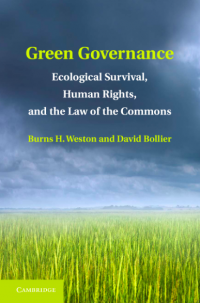 This topic is explored at greater length in my book with Burns H. Weston, Green Governance: Ecological Survival, Human Rights and the Law of the Commons. The basic point is that human communities can evolve higher, more complex forms of organization without the directive control of a central sovereign or bureaucracy. This phenomenon, often known as emergence, amounts to a bottom-up theory of governance for living systems. Emergence is based on the idea that if a sufficiently defined and hospitable set of parameters and conditions is provided, stable forms of self-organization based on unique local circumstances can arise. This is what biological and chemical systems demonstrate all the time. 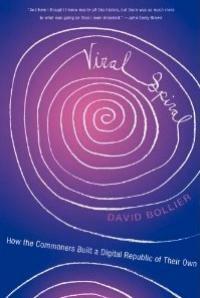 Cells and other living systems have autocatalytic features that generate “order for free.” This insight from complexity sciences matches Professor Elinor Ostrom’s findings about countless self-organized commons: Effective governance need not be imposed from above through a comprehensive grid of uniform general rules, externally imposed. With the right “fitness conditions” (which may entail certain state-based law and infrastructure), governance can emerge naturally, on its own terms, through the active participation and consent of the governed at the relevant scale. This, indeed, is a recurrent phenomena seen in all living, evolving creatures. They create new spaces in which to flourish based on their contextual circumstances; that, arguably, is the mission of the human race right now. The old guard of electoral politics and standard economics has trouble comprehending the principle of emergence (or catchment), let alone recognizing the value of policy structures that could leverage and focus that dynamic power. It has consistently underestimated the bottom-up innovation enabled by open source software; the speed and reliability of Wikipedia-style coordination and knowledge-aggregation; and the power of social media and open platforms. Politicians have been stunned by the swarms of protesters that rallied for “net neutrality” policies in the US, and by the viral self-organization of the Occupy movement, Las Indignadas and Podemos in Spain, and Syriza in Greece. Conventional schools of economics, politics and power do not comprehend the generative capacities of decentralized, self-organized networks. But what if the state wanted to leverage the power of vernacular law by enabling digital commons? How could state law facilitate this sort of bottom-up emergence, subsidiarity and scale-linking coordination? What kind of polity do we need to foster this sort of commons-based governance? The challenge of moving beyond the existing polities of modern states can be summarized as the challenge of re-integrating legality with legitimacy, a chasm identified by French legal scholar Étienne Le Roy. We need a “law for the commons” that can bridge this gap between the formal strictures of state law and bureaucratic rules adopted by political and corporate elites – “legality” -- and the experiences and vernacular norms and practices of ordinary people. “Vernacular law,” as I call it, consists of the “unofficial”social norms,procedures, and customaryinstitutionsthatpeer communitiesdevisetomanagetheir own resources. Vernacular law has a moral and social legitimacy that commoners are struggling to assert, not just through law but through political struggles and cultural expression. Digital commons on open networks are important vehicles for asserting vernacular law, especially at a time when the neoliberal state wishes to suppress and deny dissenting agendas. So how can this gap be bridged – or perhaps more accurately, evaded, hacked or finessed? 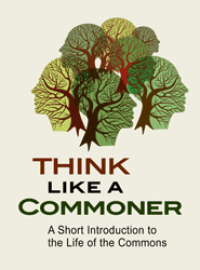 This is a difficult challenge because state law is largely philosophically hostile to, or simply non-comprehending of, the very idea of commons and commoning. Civil law as administered by the state is focused on individual, private property rights and market exchange; it is structurally focused on “things” in isolation from dynamic social relationships, history, culture and ecosystems. The struggle to inscribe a “commons-based law” within the edifice of conventional state law is therefore an ambiguous or paradoxical challenge; some say it is impossible. And yet it is absolutely needed because the nation-state is suffering a decline in legitimacy and efficacy as global capital becomes even more powerful, and as the scale and complexity of problems outstrip the capacity of corporate and governmental bureaucracies to solve them. Many people are starting to realize that the profound problems of modern life cannot be rectified by using the tools and mindset of modernity. The physicist Fritjof Capra and law scholar Ugo Mattei recently shed light on this problem in their 2015 book, The Ecology of Law, which sees the history of law as an artifact of the scientific, mechanical worldview. Capra and Mattei argue that we must transcend this legacy if we are to overcome many contemporary problems, particularly ecological disaster. They criticize modern state law because it privileges the individual as the principal agent despite the harm that this produces for the collective good and ecological stability. Law also presumes that the world can be governed by simplistic, observable cause-and-effect, mechanical relationships, ignoring the more subtle dimensions of life, especially the power of human subjectivity, caring and meaning. Capra and Mattei note the important parallels between natural science and jurisprudence over the course of history. Both science and law, for example, reflect shared conceptualizations of humans and nature articulated by John Locke, Francis Bacon, Rene Descartes, Hugo Grotius and Thomas Hobbes. All of them saw a cosmological order that is rational, empirically knowable, and governed by atomistic individuals and mechanical principles. This worldview continues to prevail in economics, social sciences, public policy and law. The Ecology of Law explains how this understanding of the world prevents us from effectively addressing our many ecological catastrophes, and how jurisprudence as now conceived is a key part of the problem. Modernity is based on the sanctity of private property and state sovereignty, write Capra and Mattei. It is an order that presumes to be an “objective,” natural representation of reality, and that regards distinctions such as “private” and “public,” and “individual” and “collective,” as self-evident descriptions of reality. Any practicing commoner knows that this is a highly reductionist and misleading way of understanding the world. In actual experience, individuals are nested within collectives, and they develop and flourish as individuals only through cooperating with others. Similarly, subjective experience and objective fact are not isolated and separate; they blur together. The either/or divisions of modernity function as a kind of consensual social fiction, with law affirming and enforcing these (misleading) categories of thought. For example, modern law presumes that if there is no external limit imposed on an individual citizen, each should be free to act as a “rational actor” to extract as much from nature as he/she wishes. This is presumed to improve upon nature, create value and advance human progress. In the modernist worldview that law embodies, individuals are imagined as the primary agents of change, and as isolated agents without history, social commitments or context. This gives individuals permission to be self-regarding and hedonistic in the face of collective and ecological needs – a capitalist-libertarian delusion that is celebrated and defended. Imagining a post-capitalist future, then, is not simply about passing a new law or instituting a new set of policies. It requires that we confront our deep assumptions about worldview as embodied in law. What we need, Capra and Mattei argue, is a major paradigm shift in science and law that reflects a different understanding of nature and human beings. Instead of seeing the Earth and human societies as a machine of parts, we must see them as a holistic, indivisible ecological system: the world as a network of interdependencies. Law is not something that exists independently “out there” as an objective reality. It is a socially constructed order – a power that we must reclaim. “Law is always a process of commoning,” Capra and Mattei write, reminding us that law originates in social practice and norms; it emerges from communities of commoners. This insight can help us imagine and build a new “ecolegal order” that has three strategic objectives, they argue: to disconnect law from power and violence (by reconfiguring the nation-state’s authority); to make communities sovereign (by empowering commons); and to make ownership generative (by integrating property rights with stewardship responsibilities). An eco-friendly legal order would recognize the holistic perspectives of commons in integrating costs and risks that market economies strive to externalize onto nature, communities and future generations. For a longer discussion of grassroots and social innovation for the Big Ideas project, see https://www.foe.co.uk/sites/default/files/downloads/big_ideas_innovation. The text in this section is adapted from a report by David Bollier and Pat Conaty, Democratic Money and Capital for the Commons: Strategies for Transforming Neoliberal Finance Through Commons-Based Alternatives (Commons Strategies Group and Heinrich Boell Foundation, 2015). For more, see the Value Network website, at http://valuenetwork.referata.com/wiki/Main_Page. A new form of common property governed, in the words of Chris Cook, by “a consensual legal framework agreement within which value may be created, shared and exchanged (P2P) on credit terms by reference to a unit of account (note that a unit of account is NOT a currency).” See http://p2pfoundation.net/Nondominium. Dorn Cox, “Farm Hack: A Commons for Agricultural Innovation,” in Bollier and Helfrich, Patterns of Commoning (Commons Strategies Group, 2015), pp. 145-150. Erika Styger, “The System of Rice Intensification and Its International Community of Practice,” in Bollier and Helfrich, Patterns of Commoning (2015), pp. 108-112. Jacob van Etten, “Farmers Become Citizen Scientists: Testing Wheat Crops for Climate Change Adaptation,” Research Program on Climate Change,” Online at: https://ccafs.cgiar.org/blog/testing-wheat-crops-climate-change-adaptation. Tristan Copley Smith, “The Growth of Open Design and Production,” in Bollier and Helfrich, Patterns of Commoning, pp. 154-158. Fab Foundation, ‘Mission’. Online at: http://www.fabfoundation.org/about-us. Jathan Sadowski and Paul Manson, “3-D Print Your Way to Freedom and Prosperity,” Al Jazeera, May 17, 2014, at http://america.aljazeera.com/opinions/2014/5/3d-printing-politics.html. See the report, “Distributed Collaborative Organizations: Distributed Networks & Regulatory Frameworks,” written by people associated with Swarm, the Berkman Center for Internet and Society, New York Law School and the MIT Media Lab, in March 2015, available at http://bollier.org/distributed-networks-and-law. See also Rachel O’Dwyer, “The Revolution Will (Not) Be Decentralized,” Commons Transition website, June 11, 2015, at http://commonstransition.org/the-revolution-will-not-be-decentralised-blockchains; and Morgen E. Peck, “The Future of the Web Looks a Lot Like Bitcoin, IEEE Spectrum, July 1, 2015, at http://spectrum.ieee.org/computing/networks/the-future-of-the-web-looks-a-lot-like-bitcoin. Reed E. Hundt, Jeffrey Schub and Joseph R. Schottenfeld, “Green Coins: Using Digital Currency to Build the New Power Platform,” in Clippinger and Bollier, From Bitcoin to Burning Man and Beyond, available at https://idcubed.org/chapter-10-green-coins-using-digital-currency-build-new-power-platform. 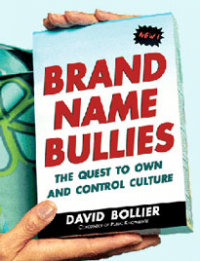 David Bollier, 2016. Democratic Money and Capital for the Commons. Online at: http://bollier.org/democratic-money-and-capital-commons-report.pdf. Andreas Weber, Biology of Wonder: Aliveness, Feeling and the Metamorphosis of Science (New Society Publishers, 2016). Joline Blais, “Indigenous Domains: Pilgrims, Permaculture and Perl,” Intelligent Agent 6(2), 2006, at http://www.intelligentagent.com/archive/Vol6_No2_community_domain_blais.htm. Margaret Wheatley and Deborah Frieze, The Berkana Institute, “Using Emergence to Take Social Innovation to Scale,” 2006, at http://berkana.org/berkana_articles/lifecycle-of-emergence-using-emergence-to-take-social-innovation-to-scale. David Bollier and Burns H. Weston, Green Governance: Ecological Survival, Human Rights and the Law of the Commons (Cambridge University Press, 2013), pp. 112-130. The idea of vernacular law is developed in Burns H. Weston and David Bollier, Green Governance: Ecological Survival, Human Rights and the Law of the Commons (Cambridge University Press, 2013), pp. 104-112. For example, Étienne Le Roy notes that the French civil code of 1804 broke with the old ideas of customary law, introducing new norms that quite deliberately do not recognize the social and resource-management practices of ancient commoners. This mismatch between contemporary law and commoning continues today, as seen in the juridical categories of international trade treaties, intellectual property laws, and other legal regimes dedicated to neoliberal market exchange. Fritjof Capra and Ugo Mattei, The Ecology of Law: Toward a Legal System in Tune with Nature and Community (Berrett-Koehler, 2015).